Whilst in Paphos is good to have a trip with your hire car to the Troodos Mountain. 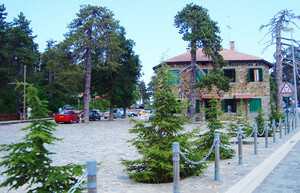 The imposing Troodos massif rises to 1,952m above sea level, stretching across most of the south-western part of Cyprus. Nestled within this region are some of the island’s most picturesque and tranquil local communities. Charming villages, many with cobbled streets and preserved traditional architecture built on terraced slopes, amid vineyards, almond trees, apple orchards and cherry blossoms! 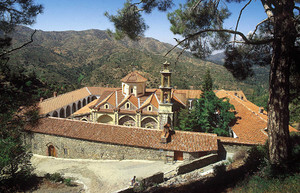 First stop will be Chrysoroyiatissa Monastery. It is dedicated to Our Lady of the Golden Pomegranate located about 40 km north-east of Paphos at an altitude of around 2,700 feet. It was founded by a monk called Ignatius in the 12th century. It lies 1.5 km from the today village of Panagia, birthplace of the late Archbishop Makarios III. The present building dates to 1770. 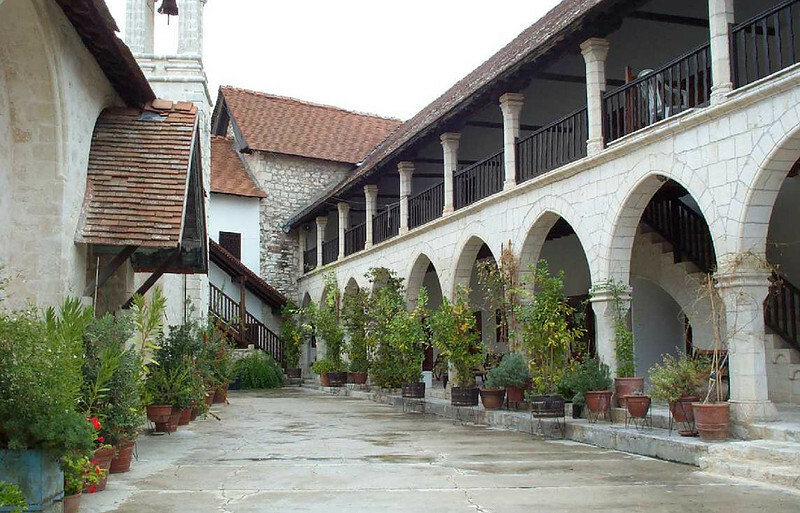 In the mid 1980s the old winery of the monastery was opened and now runs successfully on a commercial basis. It produces wines from the Monastery's own vineyards. Continue your road through Cedar Valley to the Kykkos Monastery. On your way you will find many places to stop your hire car and enjoy the magnificent views and colours. The cedars in this secluded valley are no ordinary trees, but the indigenous Cyprus cedar, a close relative of the famous cedars of Lebanon. There are thousands of them out there. 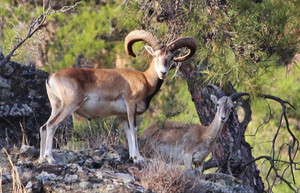 Cedar Valley is in the heart of the habitat of the moufflon, a species of wild sheep native to Cyprus, and the national symbol. They are very shy animals - those who want a guaranteed viewing will need to go to the enclosure at Stavros tis Psokas. 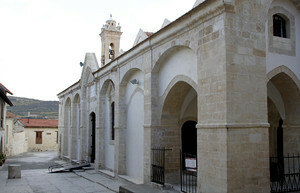 The Monastery of Kykkos, the richest and most lavish of the monasteries of Cyprus. 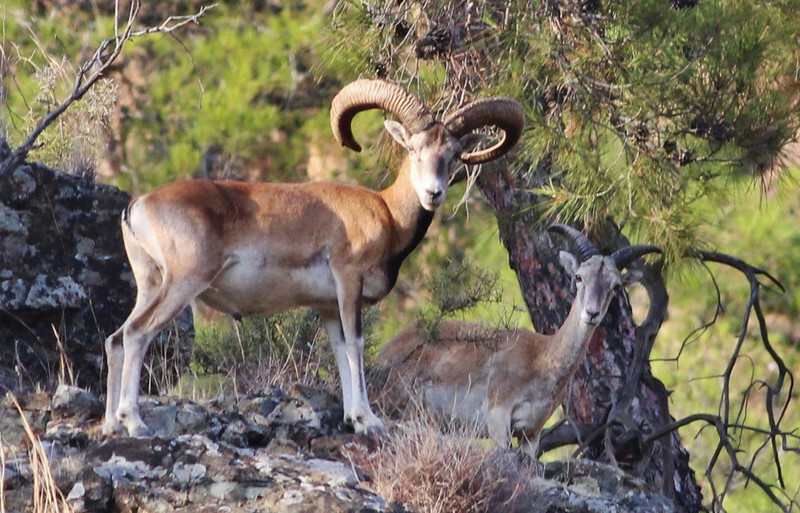 It is situated on a mountain peak, at an altitude of 1318 metres northwest of Troodos. Dedicated to Panagia, it possesses one of three surviving icons ascribed to Saint Luke. The icon, covered in silver gilt, is in a shrine made of tortoise shell and mother - of - pearl that stands in front of the iconostasis. The first President of Cyprus, Archbishop Makarios III served as a novice here. At his wish, he was buried at Throni, a scenic location 3km west of the monastery. From Kykkos continue your trip to the Mount Olympus which is the highest peak on the island at 1952 meters. It’s traditional local name “Chionistra” means “the snowy one” and is very popular for snowboarders and skiing, whether they are beginners or pros. 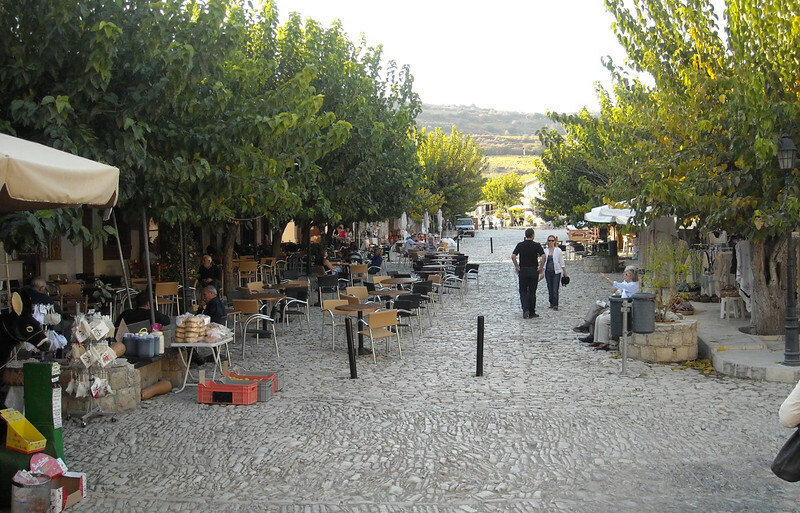 Descending back to Paphos your last stop will be Omodos village - one of the most beautiful and picturesque villages in Cyprus with its narrow cobbled streets and the majestic monastery. 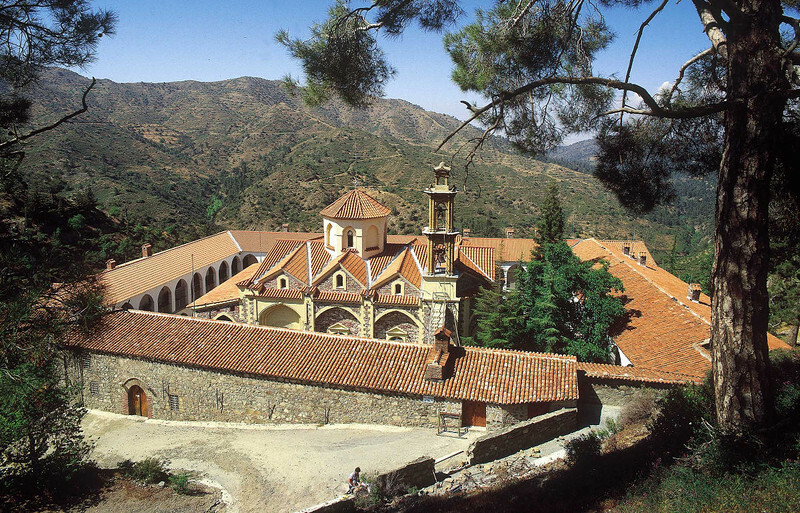 It nestles in the southern foothills of the Troodos Mountains. At an altitude of 900 meters, Omodhos is in the centre of the famous wine making region of the country (Commandaria Region). The village is built around the Monastery of the Holy Cross which, according to records, dates back to the arrival of Saint Helena in Cyprus (A.D.337). The Monastery is home to a piece of the Holy Rope with which Christ’s hands were tied to the Cross. This route is also accessible by all car hire vehicles – we do recommend 4x4 cars for comfort. Read more about the Aphrodite's Route and the Paphos Wine Route.